Mario Balotelli does not think Cristiano Ronaldo’s performances at Euro 2016 have been disappoining as he prepares to lead Portugal into their semi-final against Wales. Two second-half strikes against Hungary are all that the Real Madrid star has been able to muster in terms of goals at the tournament in France, with his displays labelled as under par despite Portugal’s run to the last four. But Balotelli has told Goal that too much has been made by the media of the former Manchester United forward’s showings. “He is not a disappointment. He is only disappointing to journalists,” he said in his role as a PUMA ambassador. Balotelli also bemoaned Italy’s penalty-shootout loss to Germany in the quarter-finals, with Antonio Conte’s side succumbing 6-5 on spot kicks following a 1-1 draw in Bordeaux. But the AC Milan striker remains proud of his compatriots, rating them an “eight out of 10” for the competition, and believes that Simone Zaza and Graziano Pelle should not be blamed for their penalty misses. “I saw the match at my house. 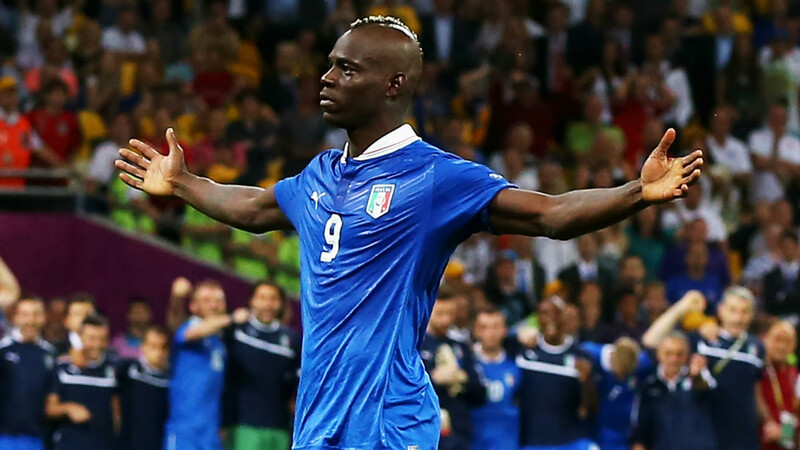 I didn’t enjoy it because, obviously, I wanted Italy to win the game and I was suffering, especially during the penalties,” Balotelli recalled. “I couldn’t watch every penalty. “I think, if they scored, they would be idols but they are criticised because they missed the penalties.